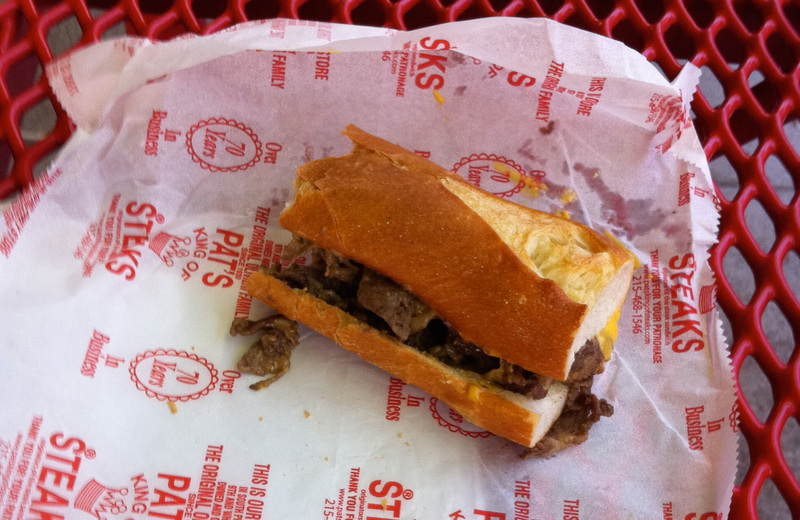 So we asked everyone we met in Philadelphia where we should go for a cheesesteak. We got almost as many answers as there were people we asked. 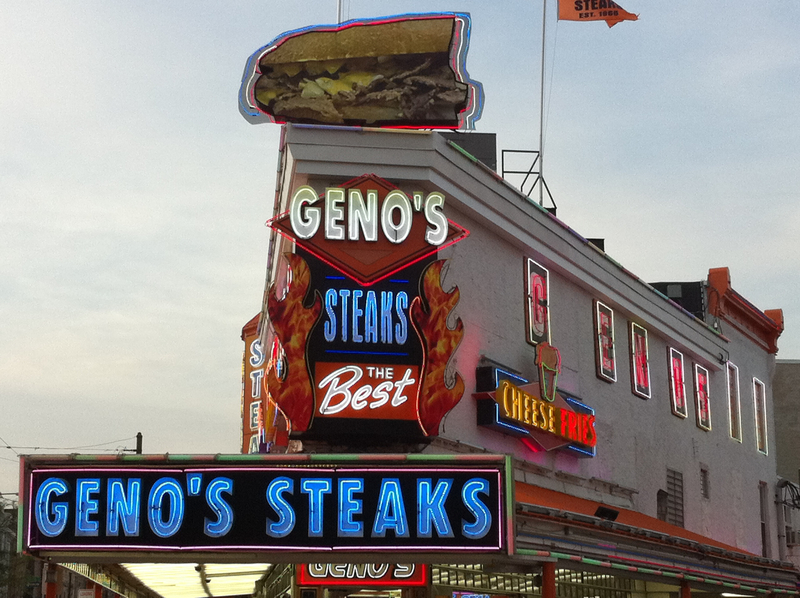 So we decided that we’d make it easier and narrow it down to two that were across the street from each other – Geno’s Steaks and Pat’s King of Steaks. You can stand in front of either one and see the folks at the other. 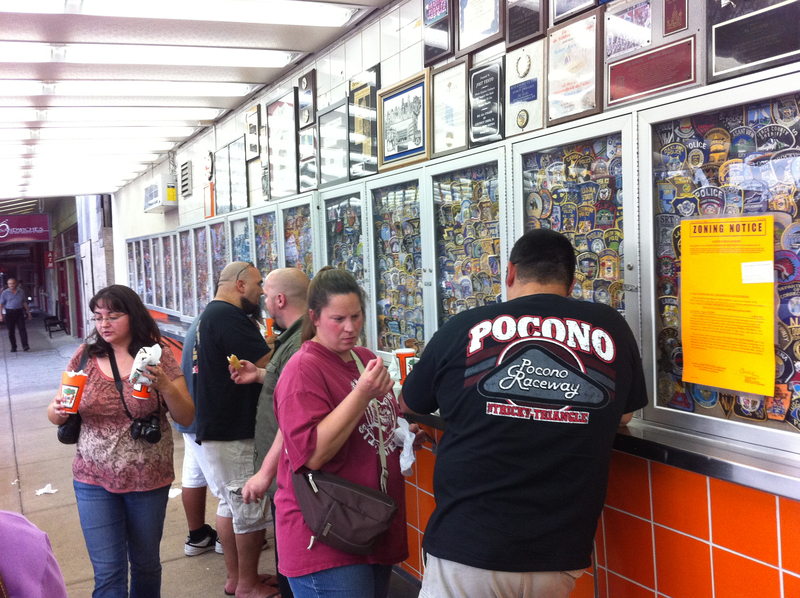 We actually chose Geno’s because the line was shorter. 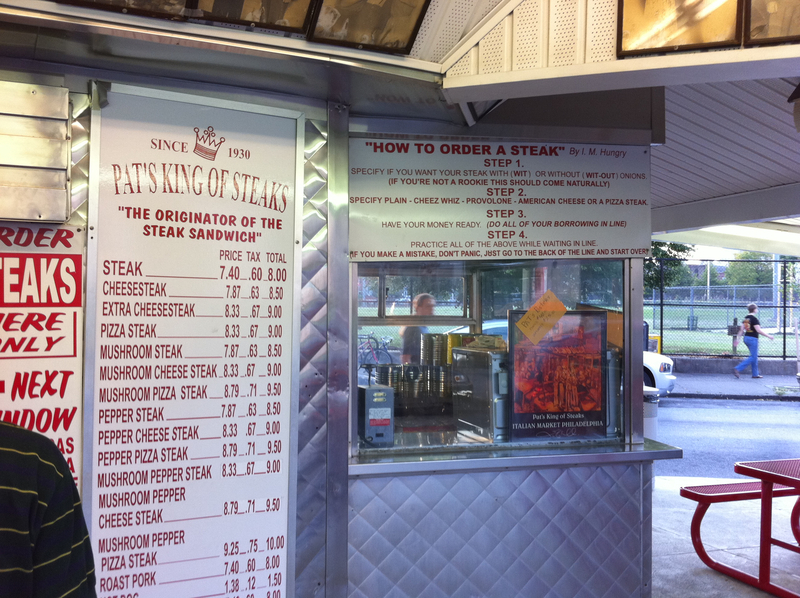 The choices were fairly simple: with or without onions and your choice of cheese – American or Provolone. I chose American cheese without. 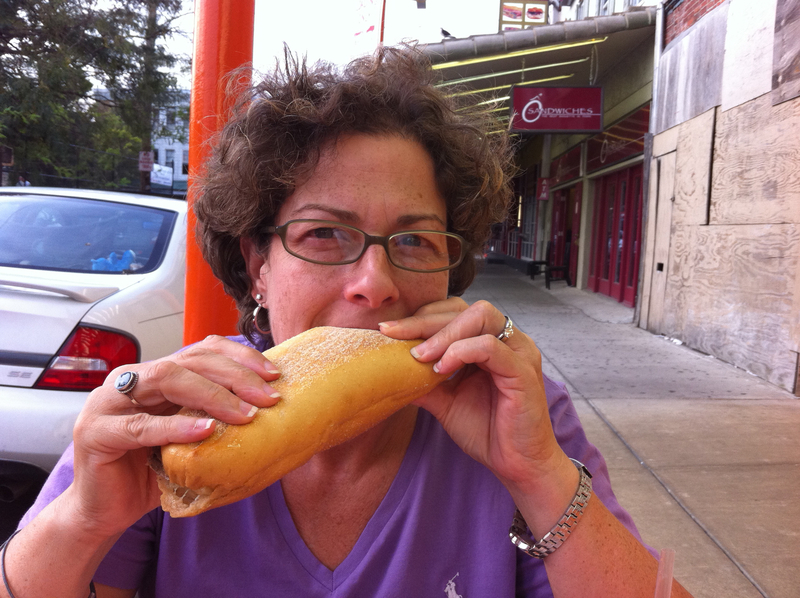 Jo went for provolone with. 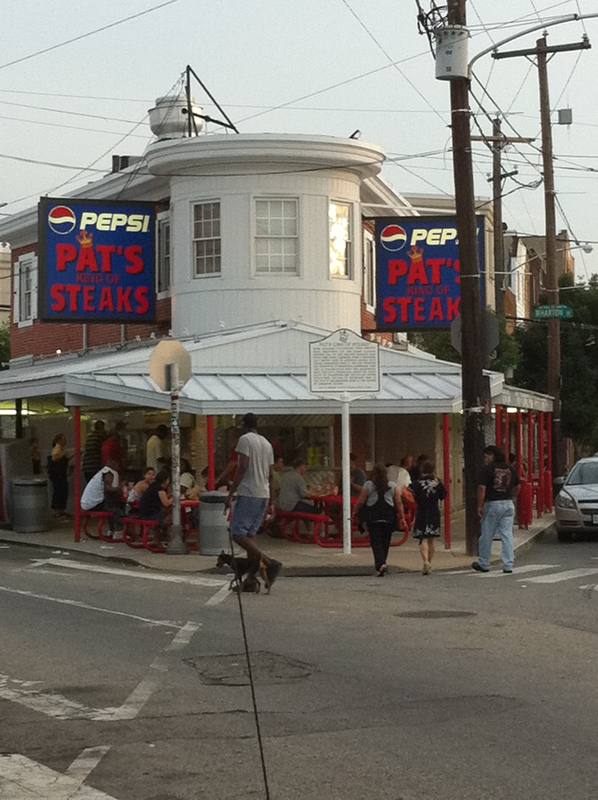 So then we went to Pat’s. No misteak. We decided we preferred Pat’s.